The ability to communicate effectively is essential in business. 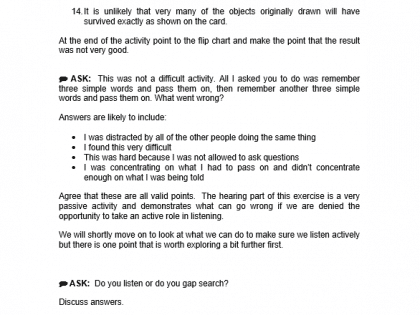 However, our ability to communicate well is seriously undermined if this is not underpinned by good listening skills. Being able to listen effectively is so important that it is worthy of a training session in its own right. 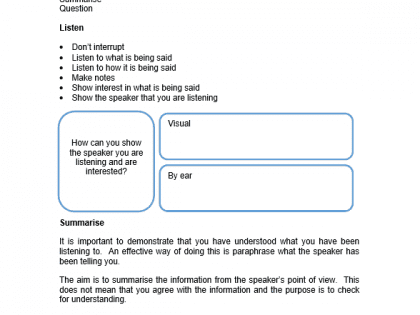 This half day session can be used as a stand-alone programme or can be used within a wider programme where listening skills are important. 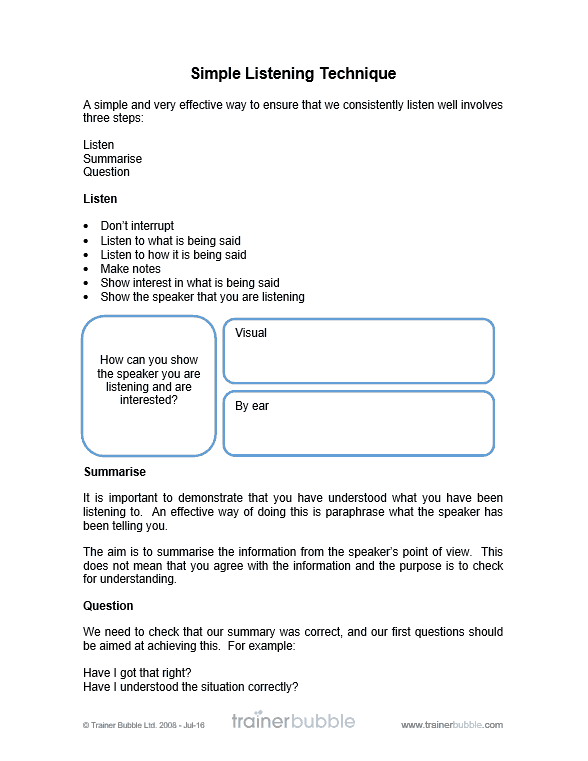 It provides participants with basic but effective techniques to ensure that they listen effectively on a consistent basis. Why are listening skills important? 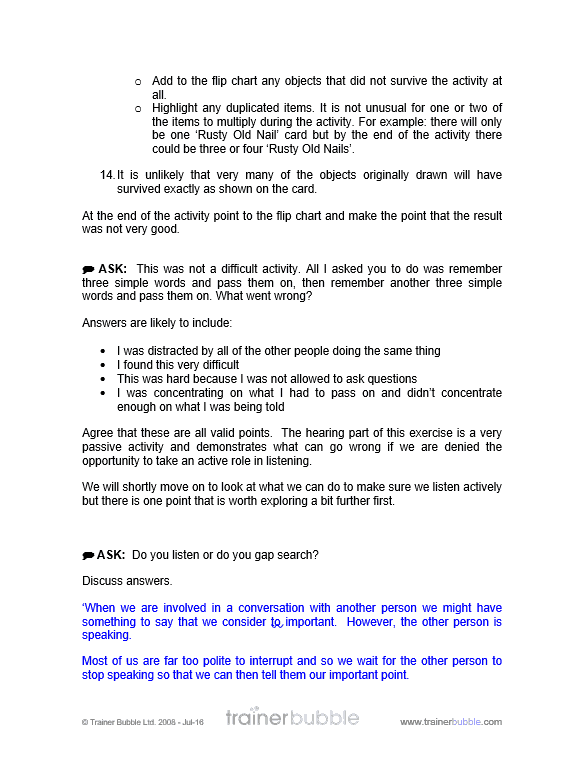 – Participants discuss why good listening skills are so important. 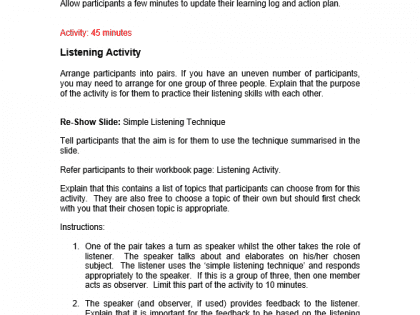 Simple Listening Technique – Participants are provided with a simple and effective approach to effective listening. 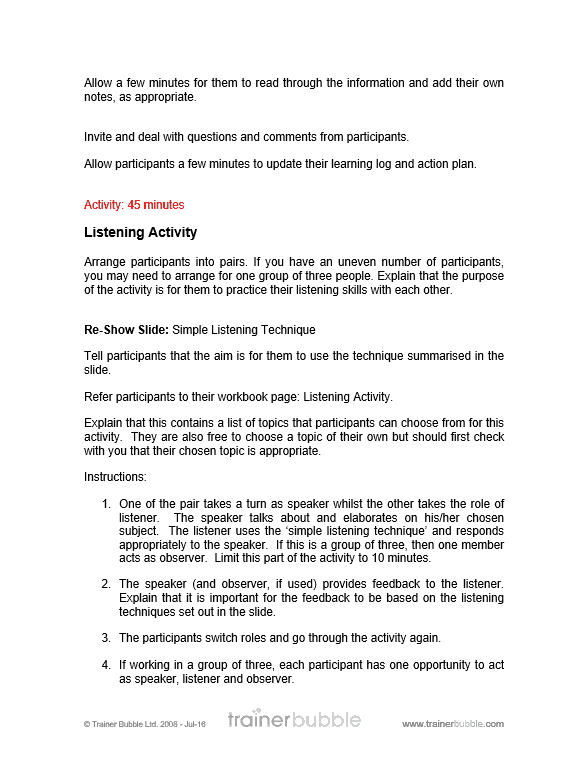 Listening Activity – Participants pair up and are given the opportunity to practice the simple listening technique and receive and provide feedback to each other.